Perhaps the greatest exponent of the Scandinavian was Australian Grandmaster Ian Rogers, who used it to rock the chess world in the 1980s. Danish Grandmaster Bent Larsen also made many significant contributions to this opening. All the analysis in this ebook has been computer-checked by the computer chess world champion Rybka. A complete repertoire against 1.e4 is provided, with two major suggestions given to deal with the main line. This ebook recommends the traditional main line 1.e4 d5 2.exd5 Qxd5 3.Nc3 Qa5. The repertoire is easy to learn and it focuses on ideas and plans rather than variations, although plenty of analysis is given so that the repertoire is as accurate and detailed as possible. Heavily annotated to guide new players to the flavor of the opening. Explanations are given to why particular moves are inferior. The ebook has been 'back-solved' (i.e. there's an overall assessment on every single position). 8 openings books have been studied to prepare this ebook, including 3 specialist Scandinavian books by International Masters and higher (these books are listed below). There are 3,824 unique positions in this ebook. 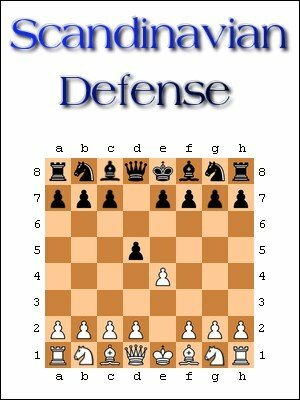 Please note that this ebook is in the Chess Opening Wizard (COW) format. You will also get two videos (WMV format) discussing the Caro-Kann defense and the Scandinavian defense, and a ChessBase file (CBV).